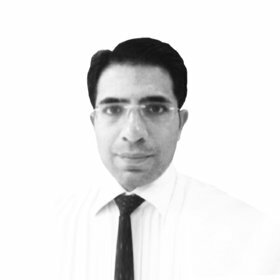 Dr. Devvrat Singh graduated in 2001 & thereafter completed MDS in Conservative Dentistry & Endodontics from Govt. Dental College & Hospital in India. Before Joining our group, he was in active clinical practice in Delhi & was working as Consultant Endodontist in various clinics & hospitals like Fortis since last 9 years. He was also working as an Associate Professor & Post-graduate Guide in Department of Conservative Dentistry & Endodontics in Dental College. He has taken numerous Hands- on workshops & lectures all around India in his field of expertise & was speaker/researcher for three international Dental Companies in Endodontics & Aesthetic Dentistry. Dr. Devvrat has 13 publications in national & international repute journals. He has a wide range of experience in different fields of Dentistry with expertise in Smile designing by laminate/veneers, composite restorations, inlays, onlays, bleaching, crowns & bridge, post & core, endodontic treatments surgical & non-surgical, microscope assisted & laser based dental treatments, Cast partial dentures & good clinical proficiency in basic oral prophylaxis, extractions, pedodontic (preventive & interceptive) treatments. His approach of patient first & involving them in treatment planning has allowed him to reap good repute in his clientele.